← RMSAWWA & RMWEA Funding, Water for People Volunteers Help Make Water Quality Testing a Reality! 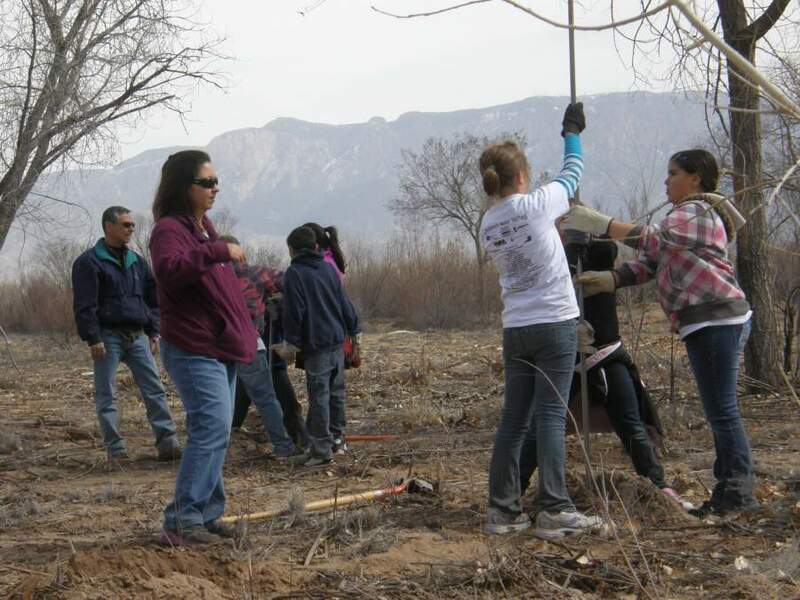 Since last fall, Albuquerque and Rio Rancho RiverXchange students and their teachers have been exploring and helping the bosque ecosystem along the Rio Grande. 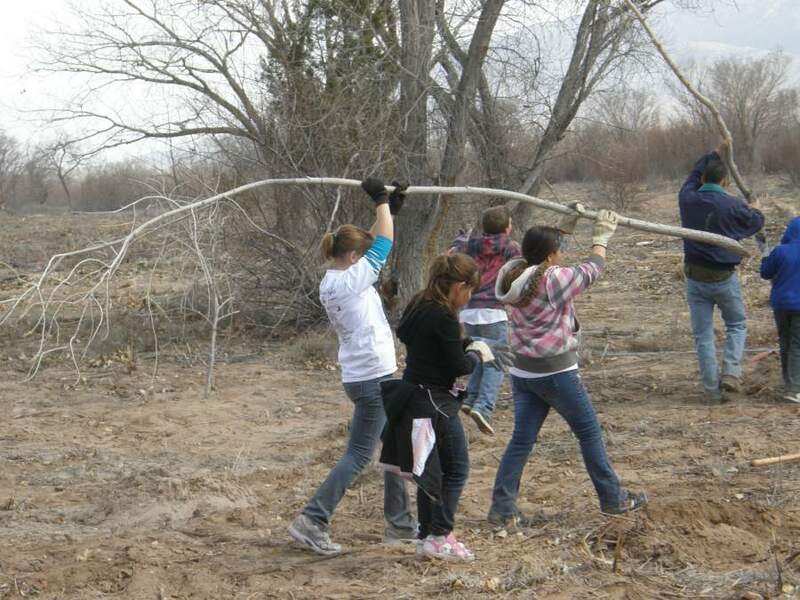 So far, 26 classes – nearly 700 students – have participated in fieldtrips at the Alameda Wetland/Bachechi Open Space, the City of Albuquerque Open Space Visitor Center and the La Orilla bosque. 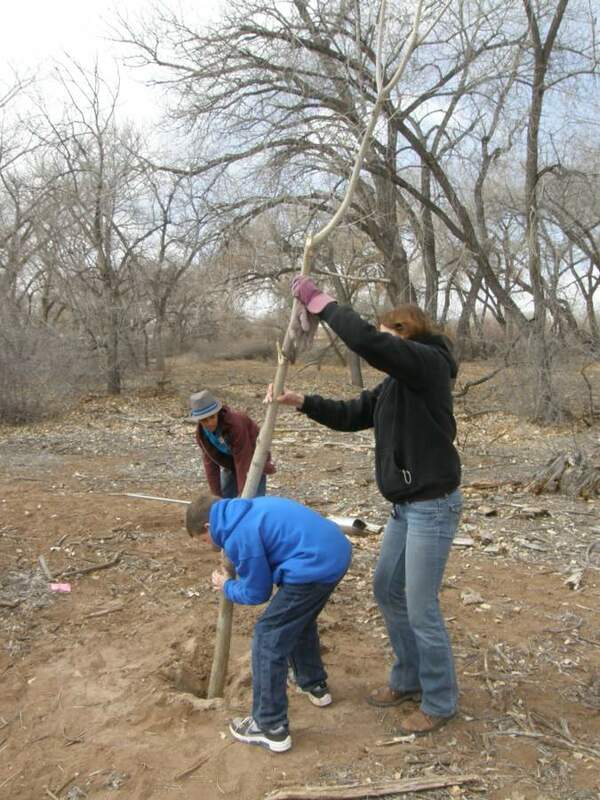 With support from the City of Albuquerque Open Space Division, Bernalillo County Open Space and Water for People, students have performed water quality tests, planted trees and shrubs and explored the bosque through hands-on activities and guided nature hikes. 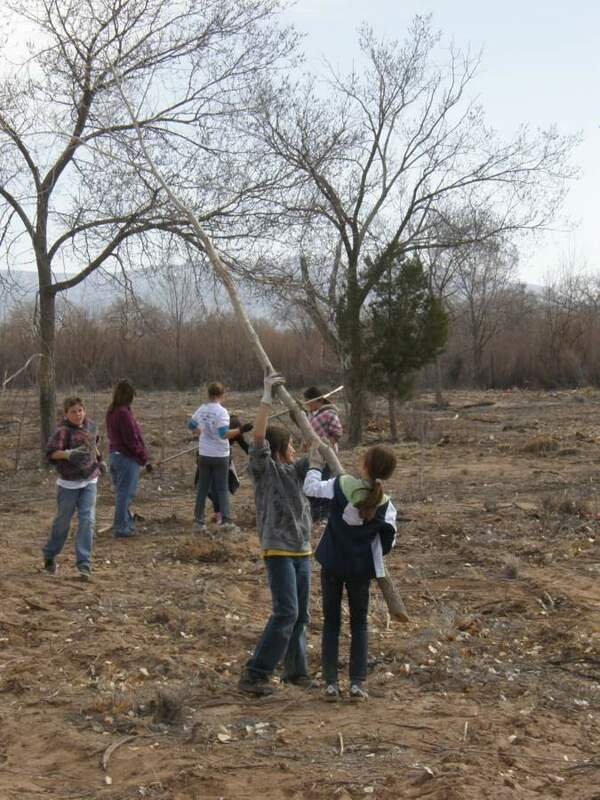 Students have planted nearly 500 trees and shrubs, including cottonwood and willow poles, and native wetland plants, all while learning about the importance and inter-connectedness of our river and wetland ecosystems. Topics and themes first introduced by knowledgeable guest speakers in the classroom were reinforced during the fieldtrip experiences. During the fieldtrips, discussions, activities and observations on drinking water sources, storm water run-off, agriculture practices and water quality were combined with on-the-ground projects and experiences that helped to further connect RiverXchange students to their environment. Each student was provided a field journal where they recorded their water quality data, field observations and answered key questions. 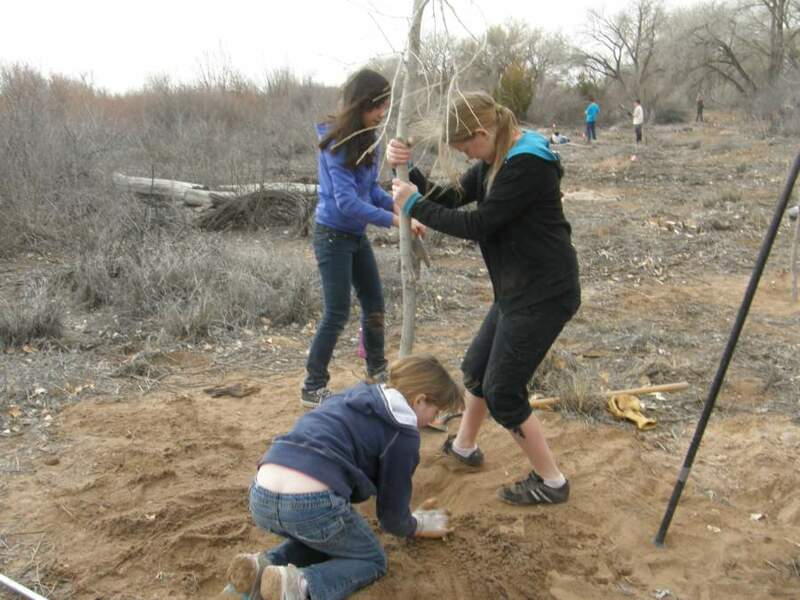 Students especially liked getting their hands dirty by planting native trees and shrubs, expanding their sense of ownership and commitment in helping protect the Rio Grande. With more fieldtrips still scheduled before school is out, we’re looking forward to more great work and experiences from our RiverXchange field trippers!